When you fill your prescription, don’t miss out on the chance to save money! 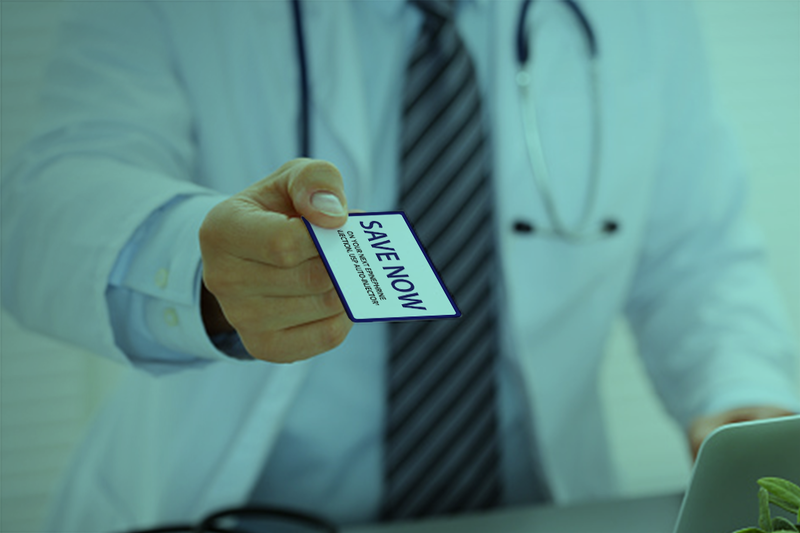 Our savings card program makes Impax Epinephrine Auto-Injector more accessible to those who need it. Subject to eligibility. Individual out-of-pocket costs may vary. See terms, conditions, and eligibility criteria. Be prepared for the “what-ifs” and the severe allergic emergencies they can cause. Order your product Trainer to help you practice using the Impax epinephrine auto-injector. The Trainer contains no needle or medicine— and is reusable. If you don’t have a prescription for our auto-injector or if you need an affordable option, ask your doctor about the Impax epinephrine auto-injector, and how you need to be prepared for the What-If. www.foodallergy.org FARE (Food Allergy Research & Education) is a nonprofit network that raises awareness of anaphylaxis by providing a variety of programs, services, and educational materials for its members.www.aaaai.org The American Academy of Allergy, Asthma & Immunology (AAAAI) is a membership organization of more than 6,700 allergist/immunologists and related professionals around the world with advanced training and experience dedicated to allergy, asthma, immune deficiencies, and other immunologic diseases.www.kidswithfoodallergies.org Kids with Food Allergies is an organization dedicated to providing education about health, nutrition and the well-being of children with food allergies, as well as a caring support community for their families and caregivers.www.acaai.org The American College of Allergy, Asthma & Immunology (ACAAI) is a professional association of 5,700 allergist/immunologists and allied health professionals who are dedicated to improving patient care in allergy and immunology through research, advocacy, and professional and public education. Impax Laboratories LLC does not review the information contained on the following website for content, accuracy, or completeness. Use of and access to the information are subject to the terms, limitations, and conditions set by the website producer. Impax Laboratories LLC makes no claims about the accuracy, or any other aspect of the information contained on the website, nor does Impax Laboratories LLC endorse the website.